This is more than a documentary. It’s a film packed with tools to help you discover the best version of yourself. An uplifting mix of encouragement, community, laughs and kick-you-in-the-rear motivation that will have you ready to reach for more? 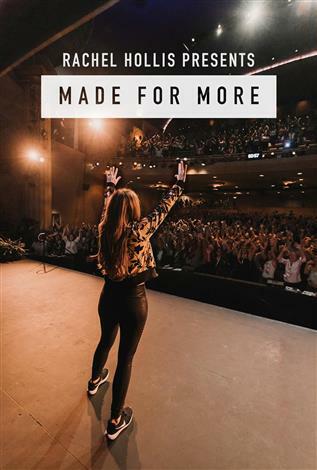 Mama of four, CCO/founder of The Hollis Company and The Chic Site, Rachel Hollis has been called “Tina Fey meets Tony Robbins for women” and is taking audiences on an inside look at chasing the biggest of dreams. Rachel’s fierce spirit and bold belief that she’s here to change the world will inspire you to believe you can do the same – believing you’re enough and will reignite those dreams you’ve been carrying around in your heart for years. They’re all tackled in the documentary capturing an inside look into the two-day RISE event that has women walking away feeling changed forever. This is your chance to get a peek inside these events and an exclusive look at Rachel’s new coaching series. Whether you’ve been an OG since day one or this is your first time joining the tribe , this film will be sure to light a fire in your heart and is promised to be a night you and your girlfriends will never forget.